Adrian Neville (c) vs. Sami Zayn Singles match for the NXT Championship; If Zayn loses, he will quit WWE NXT. Now this isn't an actual match, but it's been floating around that Graves, on the pre-show, will announce...something. I'm going to go out on a limb and say it's either going to be he'll be back next week or he's going to go the Christian route and just become a color commentator--by force. He's practically been out of the ring for over a year now with concussions and the like. And while Graves was never my favorite wrestler, I'd never wish injury upon injury on someone. Let's all hope for the best. It looks more like True may be right in his prediction of Owens facing off against Mojo Rawley or someone. Anyhow, Owens has been training in NXT for over three months now and has been wrestling a style close to WWE's for a while now. He'll be fine. Expect Owens to win his debut--and expect it to be against someone of note. Then, expect him to be booked as almost unstoppable--even though he doesn't full-on fit the "WWE archetype." Neville and Zayn came into NXT around the same time. 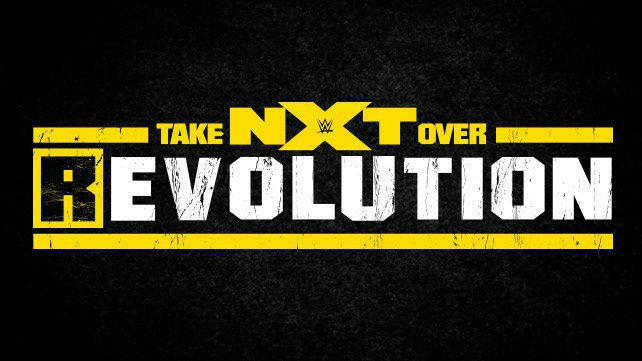 They debuted on the main roster in promotion for the first NXT Takeover event at the same time. All in all, these two have been linked in NXT in a way that Owens and Zayn were connected in ROH. With that said, this match has the capability to be a MOTY candidate. The "if Zayn loses, he'll leave NXT" stipulation guarantees one thing: we're going to get Steen vs. Generico in NXT. Neville loses and heads to the main roster. I'll be honest. I'm not too familiar with either of these guys. I know who they are, but I tend to skip over their matches. But, based on what I have seen, I expect Corbin to pick up the win here. Remember when people were saying that Kalisto was going to be the next (original) Sin Cara and skip NXT, head straight to the main roster, and become Rey Mysterio 2014? I, for one, am glad that we haven't gotten that yet. The Lucha Dragons have become one of my favorite tag teams in WWE. However, I do feel that they're getting closer to being ready for the main roster as a team. Plus, the Vaudevillians have proven that they're ready for the tag team belts. But, I don't see it happening just yet. Spoiler alert: The Ascension are getting called up to the main roster. Now that that's out the way, Balor and Itami are great together. I see them picking up the win, sending the Ascension onwards to the main roster, while honing their own skills. The former Prince Devitt and KENTA will not be in NXT that much longer if they continue to improve. Itami is still rough on the mic and still seems a bit hesitant, but that'll go away with more time in NXT. Sasha Banks is AJ Lee--minus the CM Punk chants. She's talented, she's nerdy, she's--for the lack of a more-PC term--"ethnic." And she will be your new NXT Women's Champion. Charlotte will get the call-up to the main roster soon. Whether or not she'll succeed on her name or her talent remains to be seen. I mean, she's great, but if her match Monday versus Natalya is any indication, she still needs to connect with the crowd in a less-forced manner. But, it was her first main-roster action. So, slack shall be cut. However, Sasha wins here. That just about does it for me. Keep your eyes on the ring and tune into REvolution tonight on the WWE Network.